The following is an overview of human rights violations in Iran on December 28th, 2018 based on the information compiled and verified by Human Rights Activists News Agency (HRANA). (1) Zahra Abbasi, a 16-year-old pregnant girl, self-immolated and died in Dishmok city in Kohgiluyeh and Boyer-Ahmad Province. Five other women have self-immolated in Dishmok in the current year. (2) During the last few days, 24 residents of Hendijan have been transferred to hospital for drinking contaminated water. They have been diagnosed with dysentery. (3) Two Azerbaijani Turkic rights activists, Reza Jafarlou and Akbar Gholizadeh, who had been arrested on December 10th and detained in Urmia prison were released on bail. Three other activists, Oldouz Ghasemi, Amir Sattari, and Javad Ahmadi Yaekaneli were summoned to the Revolutionary Court in Naqadeh. (4) Mohammad Saber Malek Reisi and Shir Ahmad Shirani, two political prisoners of Ardabil prison, who were returned to the prison after 12 days of interrogation, have been transferred to quarantine. They also have been barred from having visitors or phone calls. (5) Seyed Mohammad Mohammadi, a political prisoner in the Evin prison, has served 14 months of his 2-year sentence. He was accused of ‘propaganda against the state’, ‘insulting the Supreme Leader’, and ‘insulting the authorities’. (6) More than 40 students of an elementary school in Babol have been poisoned. Students with food poisoning symptoms have been hospitalized for treatment. The cause of the poisoning is unknown. (7) Zahedan prisoners suffer from lack of access to adequate medical and mental health care, mistreatment by prisoners’ staff, malnutrition, quarantined when they complained about their situation, etc. (9) Three protests and strikes have been organized on December 28, 2018. Nishabur public service workers, Farmers of Isfahan province, and staff of Islamic Azad University Meybod branch, requested their demands in separate protests. 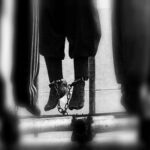 HRANA News Agency – Six prisoners were hanged in Shiraz and Isfahan. HRANA News Agency – Last Wednesday a prisoner with charges related to drugs, was executed in central prison of Isfahan. 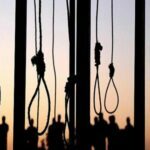 HRANA News Agency – There have been 6 prisoners hanged in 3 different prisons during 2nd, 3rdand 4th of March. 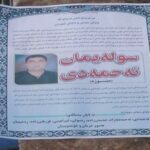 HRANA News Agency – An inmate accused of killing a police officer who was sentenced to death has been executed on Sunday morning in the prison of Isfahan. 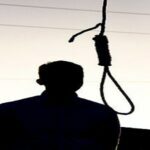 HRANA News Agency – A prisoner who was originally from Ahwaz and had been transferred from Ahwaz Karoun prison to Isfahan central prison was hanged there last Tuesday. 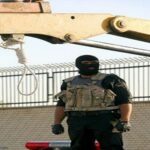 HRANA News Agency – A prisoner has been hanged in public in Khomeini Shahr on charge of drug trafficking yesterday morning. HRANA News Agency – A prisoner has been hanged on charge of drug trafficking in Isfahan on Sunday August 25. According to a report by IRIB, the commander of Khomeini Shahr police published the news of the execution of a prisoner who was charged with having industrial drugs and Heroin.